Opening my closet door, I take out my coyote combat boots. Sitting on my desk chair, I pull them on over my pants legs and lace them up, untucking my pants just enough to blouse them over the top of the boots. Next, I grab my blouse top and head to the bathroom to finish my hair; it’s already in its bun but I still need to gel it back. That done, I finally put on the top, zipping it up and pressing down the velcro. I look at myself in the mirror, now in my full Operation Camouflage Pattern (OCP) uniform (minus the patrol cap), U.S. Army emblazoned above my left breast pocket. Going back to my room, I grab my backpack and patrol cap and head to class. Maybe it’s my boots, but I feel myself standing a little taller as I walk. As students at UT, ROTC cadets are really not that much different from anyone else. However, just like other groups on campus, as future leaders in the U.S. military, we do have a certain variety all our own. There are three branches on campus: Army, Air Force and Navy. The Army ROTC program is the only one that is based on campus; the AFROTC and Navy battalions are based over at USF. Now, anyone in the service or who is close to someone who is knows that there is a certain competitiveness among the branches. Put a Soldier, an Airman, and a Sailor in one room, and there will be endless banter for hours; and for the most part, it’s good natured. In fact, if a civilian tries joking in the same manner, they’ll find the same people who were just bad-mouthing each other defending each other. The reason for this teasing is because of the “stereotypical” personality differences among the branches. Army are the foot soldiers, the ones that go in first (after the Marines of course) and maybe take things a little too seriously (guilty). Air Force are the engineers and pilots, who are stereotyped for having a bit more of a “luxurious” lifestyle, something that other branches often give them a hard time about. Navy are the sailors who are okay with being stuck on a floating tin can for months on end, with the small benefit of traveling from city to city all over the world. Joking aside, there is a lot that goes into making the decision of which branch to go in. Who you are determines where you’d be most comfortable and the kind of leader you turn out to be. This goes for not just the branches themselves but within the individual battalions. “I think it’s important to look at what you are hoping to accomplish and the culture that fits your personality,” said Shaffer. After his commissioning in 2020, Shaffer hopes to become a Naval Operations Explosive Ordnance Officer. Within the UT Army ROTC Spartan Battalion, there are definitely a lot of different types of personalities and people with all sorts of goals that they hope to achieve, despite our small size. We have sorority girls and fraternity guys, geeks spanning all genres, and an array of ethnic backgrounds. We are accepting of each other and even though life as a cadet means you are competing with your peers, we strive to help each other. By pooling our strengths, we hope to better ourselves and make each other better. This spirit goes beyond our personality differences. The military has carved a path for equality and inclusivity among all types and genders. Being a service man or woman is all about adaptability and as rooted in its traditions as the military may be, adaptability is still important. Something as simple as renaming an exercise for PT can mean all the difference in morale and making a soldier/airman/sailor feel more part of the group. We had one workout that was called the “Indian run” and it was changed to “Next Soldier Up” because the old name could not only be deemed offensive, but the new name now includes any soldier involved in the workout and that’s what is important. This means that just because something has been done the same way for so long, it doesn’t mean that it can’t be done another and that new way may actually be better or help someone understand better. The military encourages their leaders to think outside the box and come up with the best solutions. And maybe, after choosing your branch the first time, you find that it wasn’t quite the right fit. Sophomore criminology major Joe Bradley started off in Navy ROTC his freshman year but switched over to Army this semester. However, Bradley found that there were some things that he didn’t like personally about Navy and after learning about the opportunities in both the Navy and Army, he decided to make the switch. But even among these differences, at our core, we really all are very similar; this includes all the branches. We are all called to serve in some way, whether because it runs in the family or because we were simply drawn to the lifestyle. I myself had a similar inspiration; I remember thinking as a kid that I wanted to be a hero when I grew up and the heroes I looked up to most were our service men and women. And also like Shaffer, my dream grew with me and it became more of a call, a realization of the honor it is to serve. Even if I myself never become the hero I once aspired to be, I will have been honored to have served amongst a few. 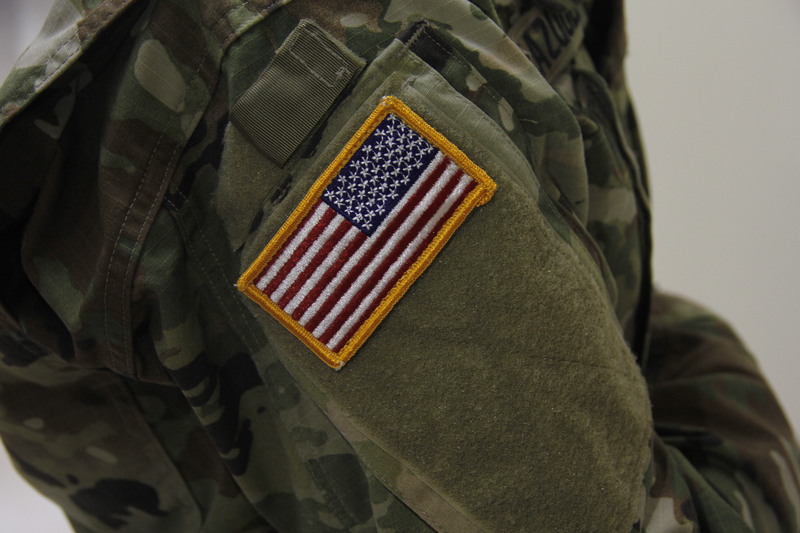 “Although each service has its own set of missions, values, personalities, and traditions, we are all the same in that we are here for one purpose: to support and defend the Constitution of the United States against all enemies both foreign and domestic,” said Shaffer.